Digitized figures from papers in the literature will be used to validate the ion channel models of ChannelWorm. 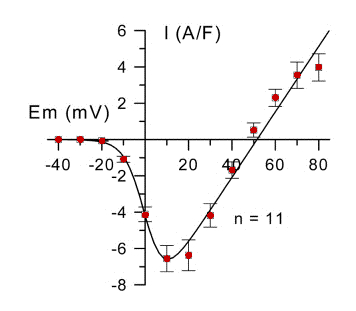 For example, a study which conducts patch clamp recordings will produce data that describe electrical properties of ion channels. 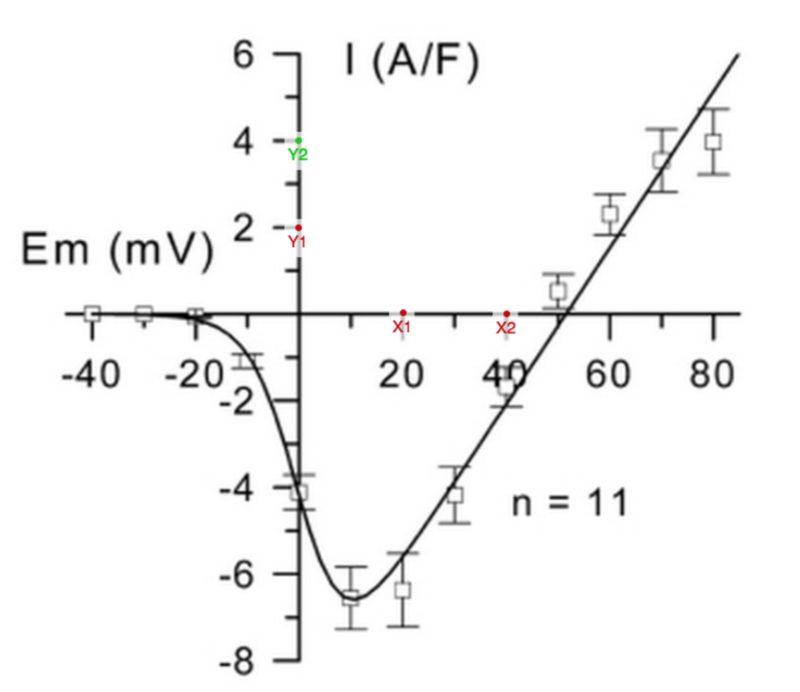 This data is valuable to anyone modeling these ion channels; we can use actual ion channel data to guide our efforts toward biological realism, and incorporate it in confirming that we are modeling what we are intending to. In a published paper, data is included in an expressive form, such as a visual plot, rather than as raw numerical data. This is not to say that we cannot extract the information and make use of it, however. Using digitization programs, it is possible to reconstruct the numerical data from a graph, which is much more usable for our purposes of validation and optimization. 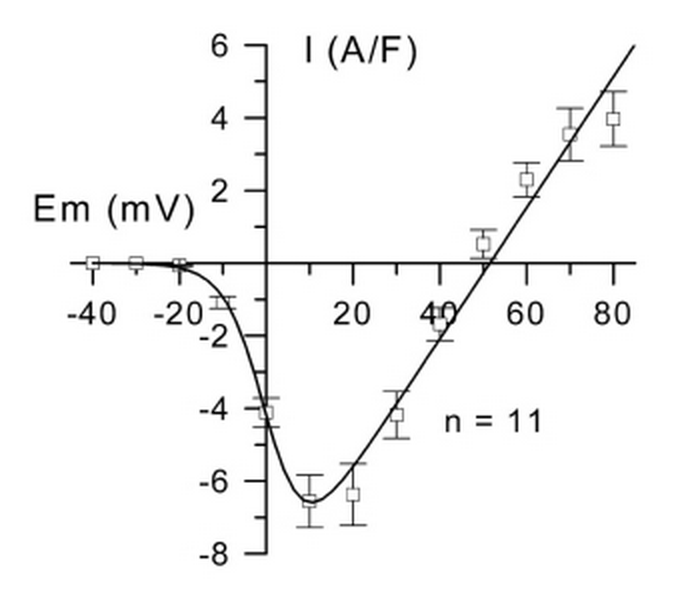 In the above example, an I/V curve from a journal article was digitized to get back data describing an important electrical property of an ion channel. It is easy to imagine how this type of data might now be used in other aspects of our in silico ion channel models. Starting out, the goal is to construct and maintain a list of ion channels relevant to C. elegans, and a corresponding list of papers with data plots relevant to each of these ion channels. Once a collection of such papers is compiled, figures describing the ion channels in question must be extracted as image files. These image files can then be processed by digitization software, which will return datapoints that can be stored in the project's centralized database for later retrieval. Select a paper and a figure from the list. For example, let's use figure 2B from this Jospin et al. article. Download the image, and crop the relevant portion using image editing software. In our example case we just right-click on the image, save it, and crop out 2B. Navigate to the WebPlotDigitizer, select "file > load image" and upload the cropped image. 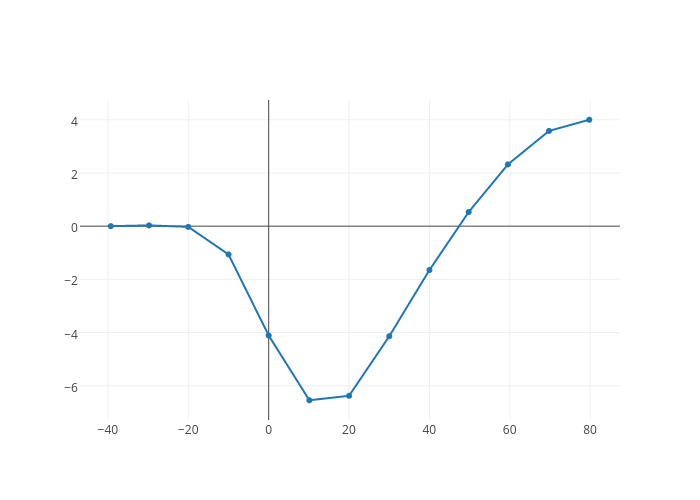 Select the "2D (X-Y) Plot" type for I/V curves and the like, and put four points on the axes. Use the arrow keys and the magnifying glass in the upper right to make sure the alignment is accurate. Now enter the values you selected on the axes. Now add a data point for each data point on the graph. Again, be sure to use the magnifying glass to place the points accurately. Your plot should look something like this by now. Finally, you can click "view data > graph in Plotly" to get something easily sharable with the community.